Please scroll down to the latest post in this thread for the current sale, update, announcement, or whatever. In the meantime, my books are in my sig. I encourage you to check them out. The links are tagged with Timothy Ellis's affiliate code, so it's also a way to support the site. Thanks for reading, and thanks for supporting my work. 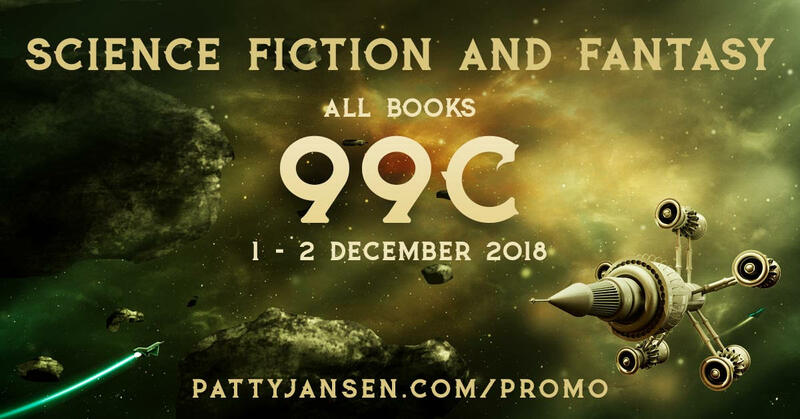 Cities of Mars is one of the featured titles in Patty Jansen's 99-cent promotion. 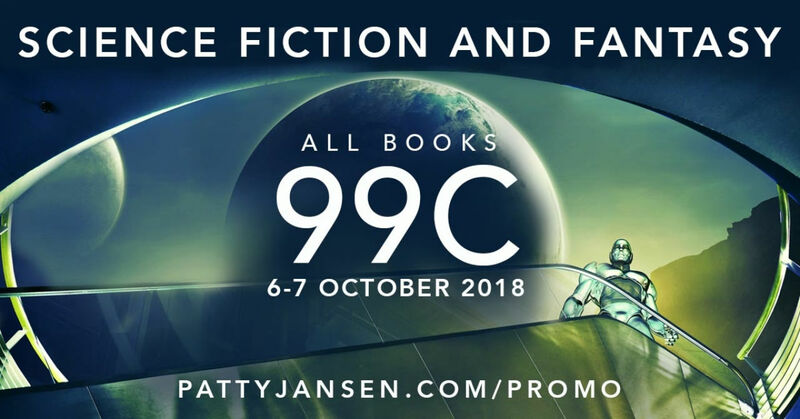 All books are 99 cents. These promotions are a great way to try out new (to you) authors without laying out a lot of money. Please take a moment to browse the selection. Thanks for reading, and thanks for supporting independent authors like me. Second draft is done. Hoping to get this book out the door within a month or so. These promotions are a great way to try out new authors without spending a lot of money. Please take a moment to browse the selection. 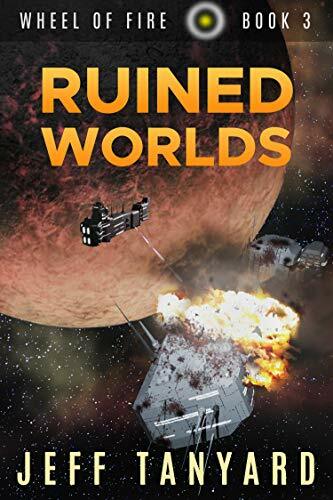 Re: [Jeff Tanyard] Wheel of Fire #3, Ruined Worlds, now available! The third book of the Wheel of Fire series, Ruined Worlds, is now available! If you pick up a copy, I hope you enjoy it. In the meantime, thanks for reading, and thanks for supporting indie authors like me. I had my first Bookbub. I made a blog post detailing the results and the things I did to get ready for it. Screenshots, too, for those who are interested. Thanks to all my readers, regardless of which of my stories you've read. I appreciate you all more than you'll ever know. From the bottom of my heart, thanks for supporting my work. I hope you get more sell-though and can get some traction. From your lips to the readers' ears. Fingers crossed. Hey, how'd you go? Did you get much sell-through? If you do AMS I suggest pushing hard with them now to keep your rank and visibility up. Paid sales are trucking along. I think--though I haven't run the numbers today--that I've either recouped the cost of the Bookbub or I'm very close to doing so. I've already had my best-ever month on every retailer except Kobo. It looks like I might be getting traction on Barnes & Noble. It's still too early to declare that, but if I am, then that alone makes the Bookbub worthwhile to me. Previously, I only had traction at Apple and Amazon, and I was pulling my hair out trying to figure out how to get the ball rolling at other retailers. Kobo has been the biggest disappointment. Free giveaways there simply don't translate into paid sales of the other books at all. I've given away over 2000 copies of Clouds of Venus on Kobo since the Bookbub, but I haven't had a single sale of the other books. The conventional wisdom about Kobo seems to be confirmed once again: Kobo customers prefer higher prices. It's a paradox, but it's true nonetheless. I made my first paid sales on Google Play on Sunday. I've only just recently put my stuff on Google Play via PublishDrive, so that retailer is totally new to me. Not sure what to expect, frankly. Thanks! I don't do click ads. I've never really understood them, and I don't really trust the accounting system, and that's just too many unknowns, especially when the risk is watching your money slowly dribble away like a stock option's time value. I could take the time to try to learn everything, but I only have so much time, and I'd rather be writing the next book. I'm a slow-enough writer as it is; I don't need to slow myself down further. I may give ads like that a try some day, but they're not on my radar at the moment. I'll stick with the usual promoters for now. Yeah Kobo is like that, from what I hear. My experience with them is only as a reader and I really like them. They are more expensive but they also price-match, after you buy the book if you email them the details of the cheaper one (usually on Amazon) they will credit you with the difference. Sometimes that's a bit of a hassle though, if you can just buy it cheaper on Amazon to begin with. Occasionally I've also had to chase up a purchase that wasn't auto-delivered or a payment that didn't process correctly, I've never had that issue with Amazon. The good thing about that though is I've always been able to get in touch with someone, and it's clear they took the time to read my email, and responded promptly. I think Amazon has a better search function, though Kobo's isn't bad. I think if Kobo streamlined some things a little better, the potential would definitely be there to be a bigger competitor. I know if they did, I'd use them all the time, I prefer their storefront for the most part. Anyway let us know how it goes, well done! Okay, I just added up the sales of books 2 and 3. I've sold 234 copies of those two books alone since--and including--February 20. That's across all retailers. I previously estimated I'd need somewhere in the neighborhood of 250-300 sales of those two books in order for the Bookbub to recoup its costs, so we're nearly there. And the reports from D2D come a day late, so I don't know what Tuesday's numbers are, and the reports from PublishDrive seem to lag by at least a couple of days--and four days when a weekend's involved--so Sunday's figures might be the latest I have from Google Play. Needless to say, I'm very pleased, and I can't thank Bookbub and my readers enough. Yeah, I do the same. I love their 40%-off promos and holiday promos, and I've made sales almost every time I've participated in those. Their in-house promos are the only things that have worked for me, though. I simply can't get sales there on a daily basis. It's frustrating. If I can get traction on Barnes & Noble and Google Play, though, then that will do a hell of a lot to ease my frustration. Two weeks after the Bookbub, here are a few more interesting facts. I've definitely recouped the cost of the promotion. Took about a week. Everything since then has been the cherry on top. I'm getting steady downloads of Clouds of Venus on Barnes & Noble and Google Play as well as a handful of sales of the other books. It looks like I'm building some momentum there. I took Clouds of Venus off permafree on Kobo for strategic reasons, but I've reconsidered my strategy, and I'm making it free again starting on the 8th. I always reserve the right to change course, because in this biz, you kind of have to adapt to circumstances on the fly. Free downloads on Amazon have fallen to under a hundred per day. I've already booked the next promotion. I've collected a nice group of new followers on Bookbub. A number of people there have also recommended Clouds of Venus, and that feels really good. I'm getting new notifications of this sort every day. I've already grossed more in March on D2D than I did in January. And March is only five days old. I've moved at least one copy of every single published work since the Bookbub. That includes my short stories. Strangely, though, the only paid sales on Amazon have been of the two trilogy books. The sales of the other books have all been on D2D. There's a lesson there about different retailers having different audiences with different tastes and spending habits. Free downloads on Google Play spiked on the day of the Bookbub and then declined in the usual exponential fashion. The decline bottomed out, though, at 7 copies on March 3rd. I've had 14 and 12 downloads on the 4th and 5th, respectively. I've also had a paid sale on each of those days. So it looks like I might have a trickle of "traction" going on there. We'll know more definitively as time goes by. Just as a reminder, I was getting absolutely nothing on GP before the Bookbub. No sales, no free downloads, nada. So anything above "zero" is a win in my book as far as this retailer is concerned. When I got the acceptance email from Bookbub back in January, the book had 23 reviews and a 3.9 star average. It currently has 34 reviews with a 4.0 star average. So the promotion has increased the book's social proof, even if only a little bit. So that's where I'm at right now. More money rolling in means I can afford to promote a little more. And if enough money rolls in, I'll take a hard look at audio production. Congrats! I'm doing the same thing, putting the money into promotion and I just started reading up on audio last night. Findaway looks promising but I have a lot more research ahead of me. May the good times continue. All three Wheel of Fire books are currently available to Kobo VIP members for 40% off. This deal runs through the weekend. I had a snag at Kobo, and Hostile Planet was briefly unavailable at the store, but customer service straightened everything out. Once again, Kobo's people are top notch. They're an absolute joy to work with and valuable allies to have when things go wrong. I'm in that sale too. I never thought to check that the book was available, thanks for mentioning that. My book looks fine though, still no sales. I really don't know how to advertise the Kobo promos. It seems pointless to use a bookbub ad on a VIP sale because there's no way to guarantee a VIP member sees it. I have a couple of compilation sales this week too, but at $4.99 I think they are too expensive for bookbub ads. I love Kobo and their staff too, but after a great start there last year, it's really stalled. I sell more on Apple, a lot more. I'm in that sale too. I never thought to check that the book was available, thanks for mentioning that. The book's unavailability was entirely my own fault, not Kobo's. I uploaded a new file to correct a couple of typos, but I screwed it up, and the result was the whole product page disappearing until I could publish again with everything done correctly. I should have known better than to make any changes so close to a promotion. I really don't know how to advertise the Kobo promos. I sell more on Apple, a lot more. Same here. I've got traction on Apple, but I can't seem to get any momentum going on Kobo regardless of what I do. It's frustrating. I sold one today! It was one of my standalones too, which never sell. Hope you had some luck. I am way too excited about this, but it's been kind of a long week, so I'll take it. 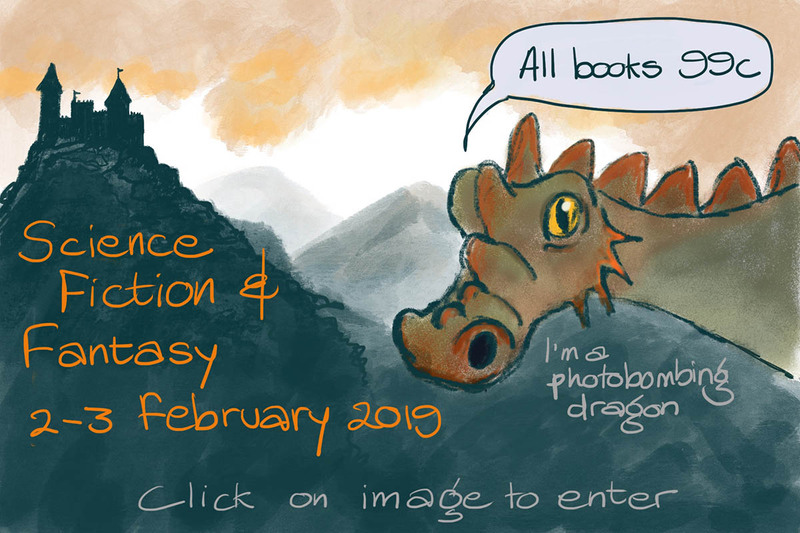 I've made one sale of each book so far. I usually make sales during these promos, but not many, so I'm pleased with whatever I get. Oh that's great, congratulations. I decided to throw some money at some bookbub ads on the compilation. I'm a glutton for punishment I guess. I ran Bookbub ads over the weekend. Got two clicks in Canada and sold two box sets there. Also spent the $20 budget for the US and got nothing. I can't say for certain that the two Canadian clicks led to sales, I have a different compilation in a sale on Kobo and I got one there with no ads. So if there's a Kobo code I haven't cracked it, not even close. Yeah, that's tough. When you don't have traction at a retailer, that twenty bucks is going to be hard to recoup. I hope you broke even, or at least didn't lose too much. Even though it's not a huge amount of money, it still wears at you from a psychological standpoint. 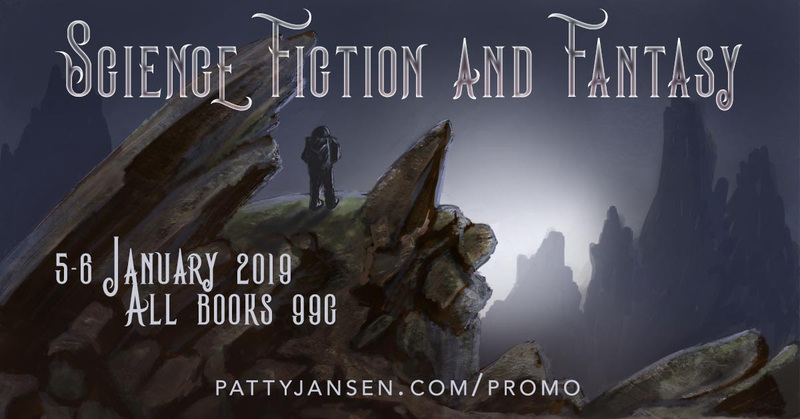 About a year ago, I entered Clouds of Venus in Kobo's 10-dollar "Science fiction free page" promotion. I was hoping that would give me some traction, but that didn't happen. After the initial flurry of downloads, the free download rate settled down to about what it was before the book was on the free page. No sell-through, either, from that promo. Since then, I've only applied for Kobo promos that take a percentage instead of costing money up front. It simply doesn't make financial sense for me, at this point, to do otherwise. If I ever get momentum there, then I'll reevaluate, because what didn't work before might start working. But until something changes, I'm not throwing any more money at Kobo promotions. So far during this weekend's promotion, I've sold four copies of Hostile Planet, three of Mind Games, and three of Ruined Worlds. These numbers are typical for how my books perform during Kobo's 40%-off promotions. Once the promo ends, I expect paid sales to drop back down to one every couple of weeks or so. Until the next in-house promotion, that is. But any paid sales are better than none, and I value every sale. There are plenty of authors out there who sell nothing at all, and I try to keep all this stuff in perspective as best I can. Thanks for the support. I'm the one who set the budget and took off for the weekend so I can't complain about it. I was just surprised by the results. It seems to me that most of the Kobo promos are pay as you go now, versus pay up front. The free pages are still pay up front but I do recoup the cost from those, conahura, knock wood, YMMV, etc, etc and so forth. I've never gotten an editor's pick free page, but I'd like the chance to see how that goes, with my perma frees. I put the price in the button (I just use the bookbub ad generator) and I'm really glad I did that, since the box set was $4.99 US. I wanted to hopefully eliminate people who wouldn't pay that much. Could have been much worse I suppose. One more night in the 40% off sale, crossing my fingers for us.